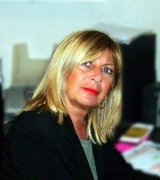 Barbara Mazzarella ~ Amaral and Associates Real Estate, Inc.
Hello! I’m Barbara Mazzarella! I am married, have two children, and I am a longtime resident of Fall River. As a REALTOR® I am here to guide you toward the best possible home. It is no secret that buying and selling real estate can be stressful. I promise I will work hard to guide you through the process with clear communication and by making myself accessible to any and all questions that may arise. I am dedicated and excited to assist you in finding the best home for you, or to sell your current home. It would be a pleasure to work with you.